Your Apple TV is a useful accessory and its many apps can add a new dimension to what you watch and do with your “telly.” Despite its usefulness, there are a handful of problems you may encounter when using your Apple TV, so we’ve gathered some of the most common problems and solutions here. Symptoms: You are trying to use AirPlay to beam content to your Apple TV (from your Mac or iOS device) but you find either the devices aren’t able to see each other, or you are encountering stuttering and lag. Solutions: The first step you should take is to check both the Apple TV and your device are on the same Wi-Fi network. You should also check they are both running the latest iOS/tvOS software and that you don’t have another device on your network consuming all our network or broadband bandwidth (software updates and large file down/uploads can impact quality). If none of these steps work try restarting your router, wireless access point, and Apple TV. Symptoms: You may experience difficulties with your Wi-Fi network. Problems may include your Apple TV being unable to find or join the network, your device may not connect to the network in a stable fashion, movies and other content may stutter as a result of an intermittent connection flaw – there are many ways in which Wi-Fi problems may reveal themselves. Solutions: Open Settings > Network and check to see if an IP address shows up. If there is no address you should restart your router and Apple TV (Settings > System > Restart). If the IP address does show up but the Wi-Fi signal doesn’t appear to be that strong, then you should consider moving your wireless access point closer to the Apple TV, using an Ethernet cable between the two devices, or investing in a Wi-Fi extender (such as an Apple Express unit) to increase the signal near your set top box. Symptoms: You launch your Apple TV and are navigating through all your apps when you notice there is no background sound. If you try to play a game, track, movie or other content you find there is no audio, even though it is turned up on your TV. Solutions: This is an intermittent Apple TV fault some users have reported. The best fix is to Force Restart your Apple TV. Do this on Apple TV in Settings > System > Restart; or using your Siri Remote by pressing the Home (TV screen) and Menu buttons until the light on the front of the device flashes; or unplug your Apple TV, wait six seconds and plug in again. Symptoms: No matter how many times you click, chat or swipe, nothing happens. Solutions: Open Settings > Remotes and Devices > Remote on your Apple TV. Look for your remote in the list and tap it to see how much battery power you have left. It is very likely you’ve run out of power, just plug it into a power source using a Lightning cable to recharge it. Symptoms: You’ve download all the best games and apps and suddenly find your Apple TV won’t stream your movie because it says it has run out of space. 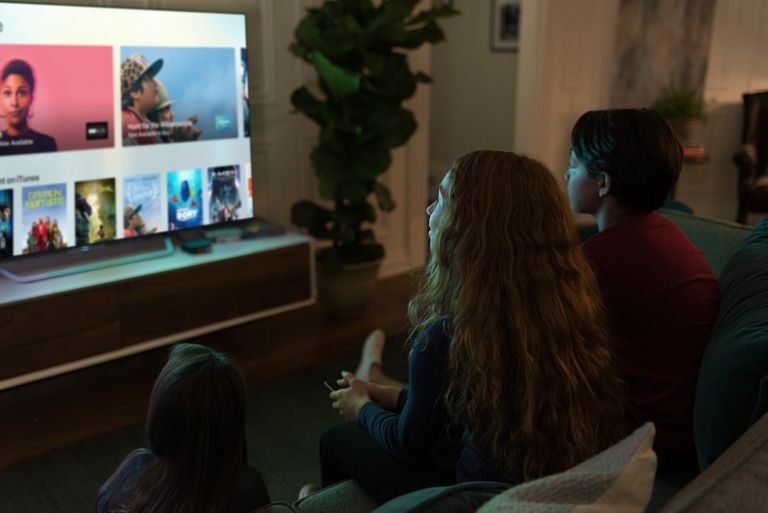 Don’t be too surprised at this, Apple TV is built to be a streaming media companion and does eventually run out of space on its built-in memory. Solutions: This is really simple, open Settings > General > Manage Storage and browse the list of apps you have installed on your device along with how much space they consume. You can safely delete any of the apps you don’t use, as you can always download them again from the App Store. Just select the Trash icon and tap the Delete button when it appears. If none of these suggested fixes work, take a look at this more extensive range of problems and solutions and/or contact Apple Support.